Share your opinion on cryptocurrencies and profit from new information on cryptocurrency markets! sentix publishs a regular sentiment report with highlights from the survey results. 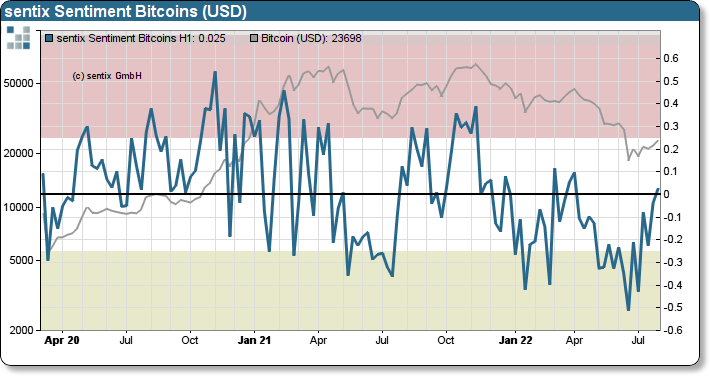 Beside a dedicated crypto sentiment report, an extented report for other financial assets will be provided too. Free of charge as a newsletter / Or with additional sentiment information for participants in the survey! This data series reflects the emotions of investors on Bitcoins. 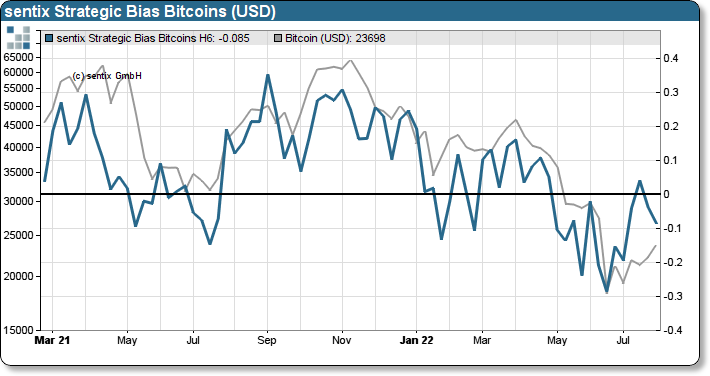 This index reflects the perception of value on Bitcoins. 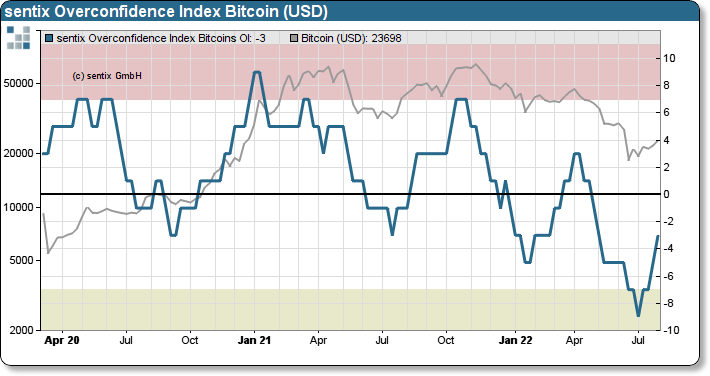 This index reflects the risk that investors might take to risky positions based on the behavior of the bitcoin price.